John is a wizard! After calling ahead to check in, he assessed my wall mount situation and fixed it very quickly. He let me know what was wrong and what he was doing to fix it. He as courteous and professional the whole time. I'm very pleased! Service was awesome! Difficult installation but John did an amazing job (2 story home, 4,000 sq ft, 4 indoor, 4 outdoor 4 MP cameras, Ring Pro, and 4K monitor mount). Highly recommended! No change in quoted price. Installation was top notch. I would use this company again and recommend them to my friends. Did an excellent job. They arrived on time, were very professional & completed the job in record time. We will definitely use again! Arrived on time, with a 20 minutes call before arriving. I have major back problems, and requested if he can move the Elliptical upstairs without any help. He said he could with a minimal charge . Considering the distance, and steepness of the move I taught the charge was very reasonable. After assembly, area was cleaned up, and all trash pick up. Extremely happy with the service received. 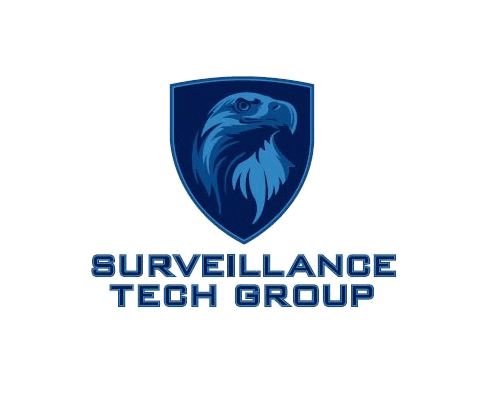 Surveillance Tech Group is the BEST!!! John Clark went well beyond expectations with my install of Night Owl HD security cameras. He visited my house 4 different days to make sure everything was perfect!!! Very knowledgeable and honest!! Very inexpensive for all the quality work that was done. Thank you John!!!! Great group of guys. Install went smooth and quick. I had an Internet issue, but they were quick to help finalize configuration. Highly recommend these folks. He was very knowledgeable and made sure I understood what I was getting. It was really good to have someone take the time to explain everything before hand so there where no surprises. I would use them again. Very informed and professional in their work. Over and beyond great customer service. Stg’s techs were friendly, professional, and knowledgeable. The installation was smooth from beginning to end. We were also able to take advantage of a 10% discount when my neighbors ordered there systems. So professional. From the moment I began working with them everything went smoothly. They answered every question I had with answers I actually understood, John took the time to explain everything and make me feel comfortable with the process. He was on time and returned my calls quickly. His admin is very sweet and helpful with scheduling. I would definitely recommend this company. Knowledgeable as well as kind. You can't beat that combination. Jason did an excellent job!! He was very professional, knowledgeable and friendly!! We highly recommend him with our highest rating!! Truly excellent service! Cleaned up after themselves and worked with me to get it configured. End-to-End installation and configuration. They were on time and made quick work of installing our system. They were very nice, Excellent service, very knowledgeable. Answered all of my questions. Matt was on time, courteous, and thoroughly professional. He did a wonderful job in a timely manner and cleaned up the dust afterwards. Could not ask for more. The installer, Jason, did excellent work. He even spent time getting the camera positioned just where I wanted it. He also showed up early. Installers were knowledgeable, on time, communicated well, and went above and beyond my expectations. I fully recommend STG. I have had the pleasure of working with Clark Surveillance Tech Group for over five years now, and cannot rave enough about their professionalism and quality installation. I work for an installer referral company that contracts work to Clark Surveillance Tech Group. Time and time again, I choose Clark Surveillance Tech Group over other installation companies, because I know when I have a project to be completed, that Clark Surveillance Tech Group will immediately accept it, schedule promptly with the customer, arrive on time (if not early), keep the customer aware and educated throughout the installation, and provide a quality installation (for an extremely reasonable price). My company requires documentation upon completion of the installations Clark Surveillance Tech Group performs, so I am able to (first-hand) see the quality in their workmanship and am thoroughly impressed each time. Their company has maintained an A+ rating (which comes directly from customers' surveys). If you are seeking an outstanding installation, with a very reasonable price, you NEED Clark Surveillance Tech Group. The STG Team, installed a much needed system at our facility to help prevent loss and damage to our assets. Could not be happier with the quality of work completed.